Wanna take a drink? 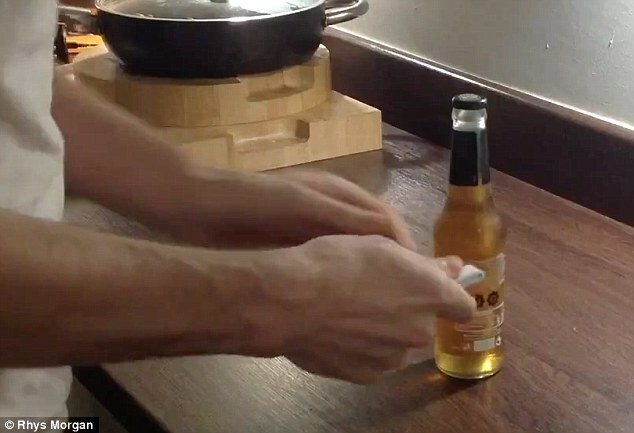 Dont have an opener? 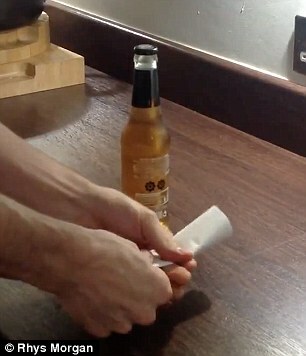 All you need to successfully cr*ck open your beer is one piece of A4 paper. 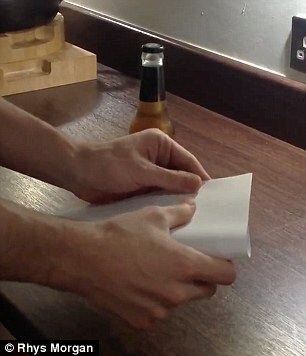 Mr Morgan who lives in Cardiff, Wales starts off by vertically folding the paper in half. He then folds the half lengthways again, pressing firmly so the creases of the paper hold. He keeps folding the paper in half vertically until he ends up with only a small amount of paper left. 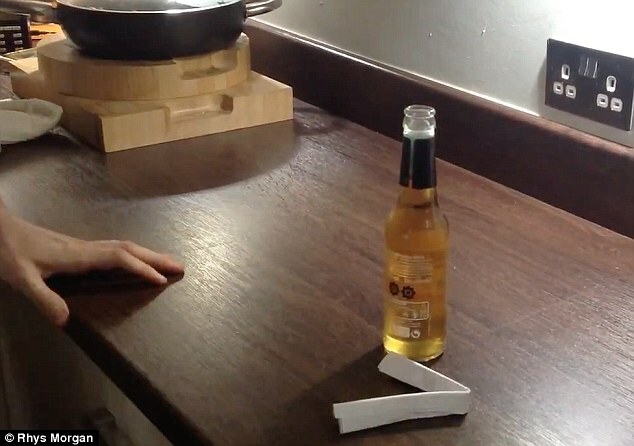 Then he folds the remaining paper lengthways to create a 'V' shape from the paper. 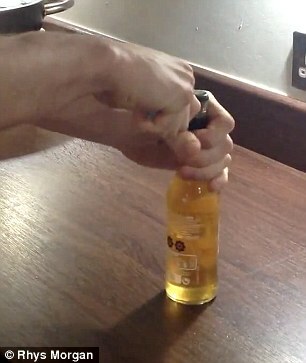 And with one swift upwards move he pops the cap of the bottle, successfully releasing the beer from its bottle-topped prison. 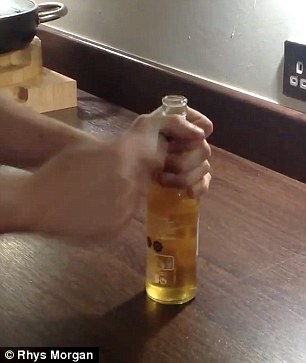 The 21-year-old Cardiff University student said he invented the trick when he found himself at a party with bottles of beer and a broken bottle opener. Mr Morgan said his trick will work with all types of paper, down to kitchen roll. On his account he explained:' Some people are pointing out that the paper looks thicker than standard paper.